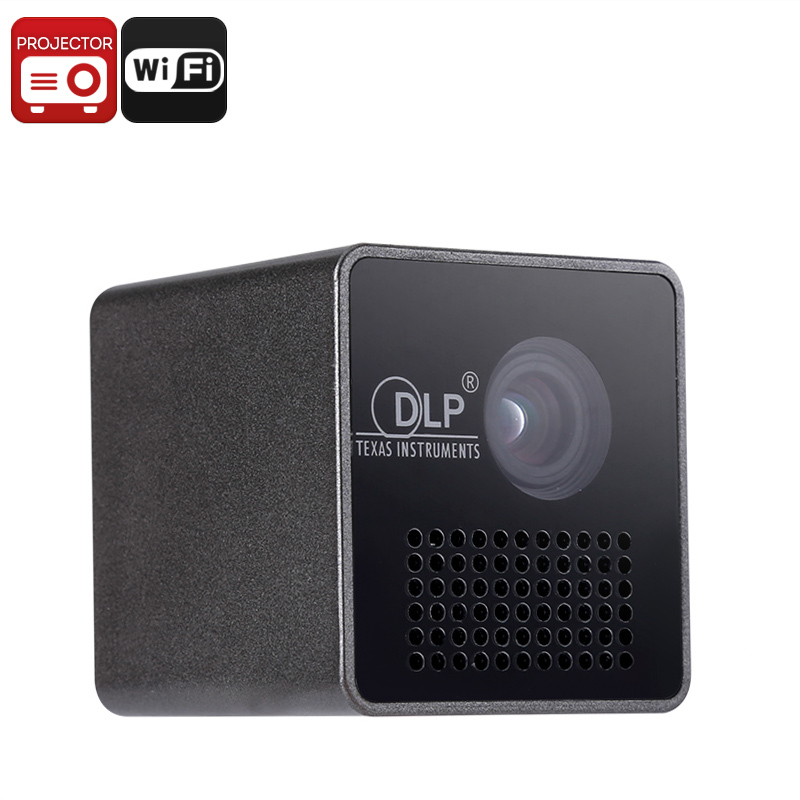 Successfully Added Mini DLP Projector - WiFi Support, DLP Technology, 1080p Media Support, 35 Lumen, Built-in Speaker, Built-in Battery to your Shopping Cart. Featuring the latest DLP technology, this mini projector brings forth vivid color and high detail. With its wider color gamut, you’ll be able to enjoy your favorite media in their fullest glory. It furthermore supports 1080p video files and has a native resolution of 640x360. Thanks to this, you’ll be able to project the vast majority of the latest movies onto your wall while enjoying them with your friends or family back home. Your mini projector features a 30 lumen light and supports both 4:3 and 16:9 aspect ratios. You’ll be able to enjoy both TV and widescreen movies without experiencing any cut off images. Packed within its miniature body, this DLP projector holds a powerful 950mAh battery. This cell brings along up to 40 minutes of continuous usage time for you to enjoy without needing an external power source. The mini projector can also be used while charging. This allows you to watch longer movies or documentaries without needing to worry about battery life. It comes with its own micro-USB cable thanks to which you’ll even be able to charge it via a power bank. This makes your beautiful gadget even more portable. Thanks to its built-in speaker, you’ll be able to watch movies without the need of an external audio device. For those of you that wish to increase their audio experience, this mini DLP projector features a 3.5mm headphone jack. You’ll be able to plug in your favorite speaker or simply watch a film in peace while using your headphones. Additionally, it supports WiFi. Thanks to this, you'll be able to stream media to it from your phone or tablet PC so thats one less cable to worry about.